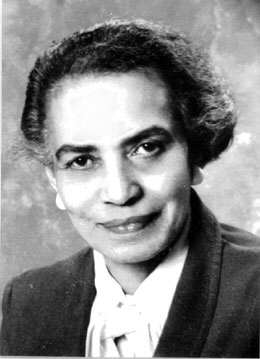 Roberta Byrd Barr was an African American educator, civil rights leader, actress, librarian, and television personality. She was a talented, multifaceted personality with a calm presence, thoughtful demeanor, and a darkly melodious voice which served her well in the many roles she played in the Seattle, Washington community. Barr was a Seattle Public Schools elementary teacher, librarian and administrator. During the 1966 school boycott when the black community protested the lack of progress toward desegregation, she headed the Freedom School at the YMCA. In 1968, she was appointed vice principal at Franklin High School, and in 1973 she was appointed principal of Lincoln High School, becoming the first woman in the history of the Seattle Public Schools to head a high school. Barr’s acting and television career began in the early 1960s when she starred in the Cirque Theatre production of “Raisin in the Sun.” On KCTS/Channel 9, she told stories to young children in a show called “Let’s Imagine.” Later she moderated the program “Face to Face” on King TV from 1965-1970, and from 1971-1972, on KCTS/9. The program featured guest speakers talking about controversial topics such as desegregation and welfare. Barr awakened the community to civil rights issues and other important topics overlooked in the media. She acted as a bridge between the black and white communities. Her picture hangs in the Douglas-Truth Public Library where her efforts, through her sorority, Alpha Kappa Alpha, helped promote the development of the African American Collection.